We now have in stock a selection of cakes from the award winning Nevis Bakery, 'the peak of highland baking'. The bakery was established in 1980, and is a family company. It is based on the shores of Loch Linnhe under the shadow of Ben Nevis, and the bakery produces a range of high quality cakes and biscuits. 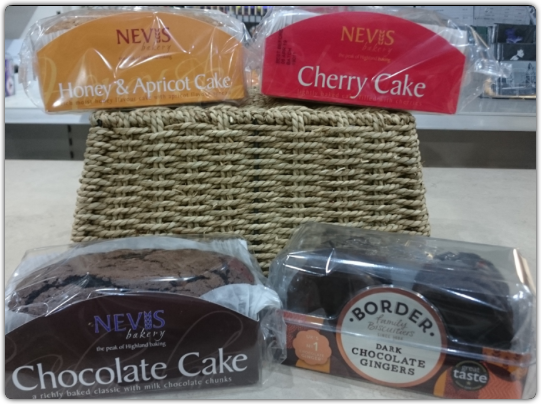 We have chosen to stock Chocolate, Cherry and Honey & Apricot cakes and we think they are delicious!